← Update Your Address Books! 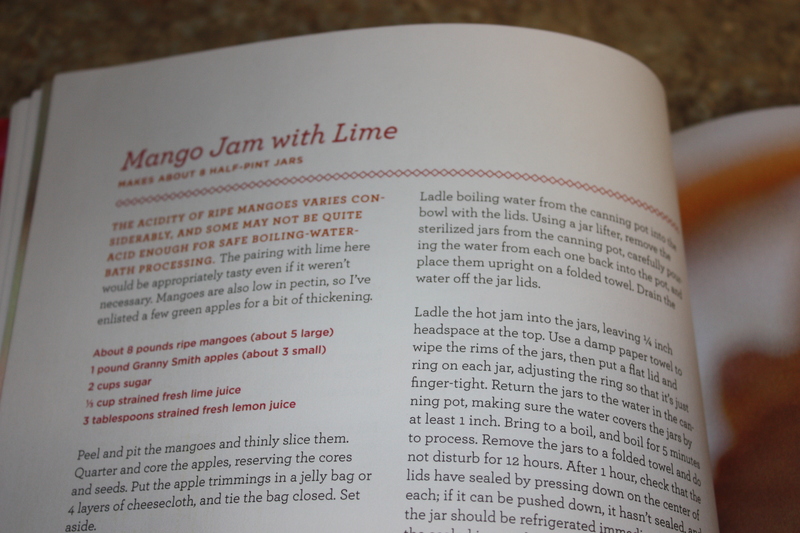 As a Christmas gift to myself, I picked up a copy of “Canning for a New Generation: Bold, Fresh Flavors for the Modern Pantry” by Liana Krissoff. This is a great tutorial on the basics of canning from all aspects; she revisit the centuries-old techniques of preserving food at home then provides new ways to preserve the same foods. She offers over 150 recipes (organized by seasons) for pickled, dried, canned and frozen foods. 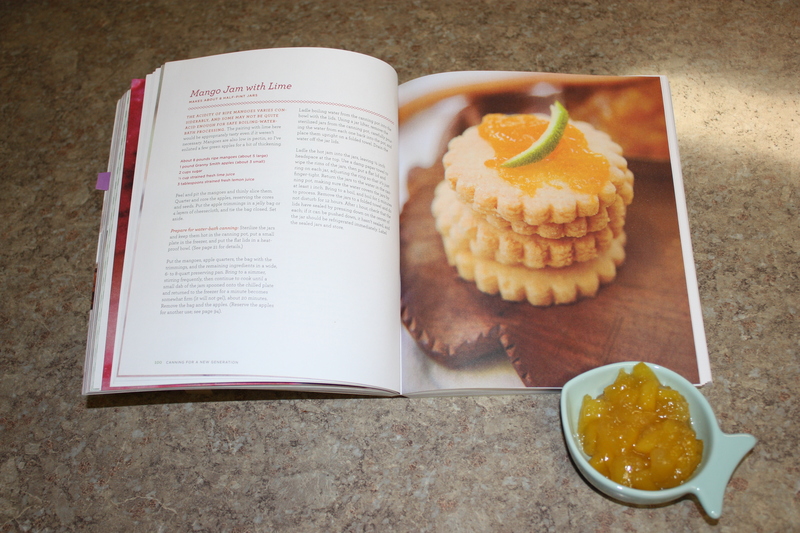 The recipes are illustrated with great photographs (for those of us who are inspired by pictures) and another neat aspect of the book is that the author includes recipes for how to use your now preserved foods. To sum this all up . . . I highly recommend this book and I am looking forward to making more recipes from it! 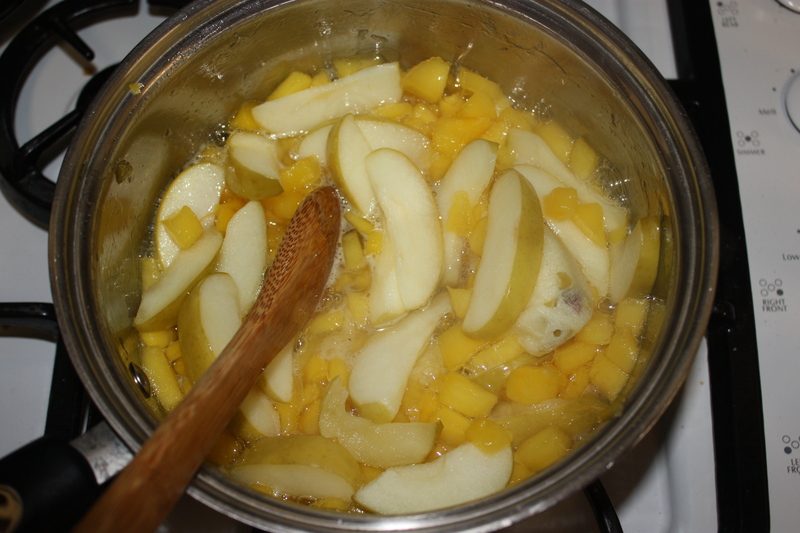 Ripe mangos, fresh lime juice, sugar and a granny smith apple which provided all the necessary pectin for the jam to gel. The finished product! Every bit as tasty as pictured and described! Thanks for the recommendation! I might have to pick up a copy. 🙂 Your Uncle Andy says you should check out Carla Emery’s Encyclopedia of Country Living. He wore out one copy from 30 years ago, so I recently got him a new copy. Old fashioned, but chock full of neat stuff. Happy cooking! Looks yummy! I like the book you described too!